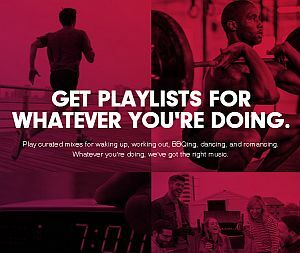 In early December, Beats Music CEO Ian Rogers promised that his on-demand subscription service would open for business in January. True to his word, Rogers posted a blog announcement over the weekend with the official launch date. “We’re excited to announce Beats Music will be bringing you the right song for right now on your smartphone January 21st.” Visitors can claim their service user name in advance, and some kind of ribbon-cutting event is promoted on Facebook. That “right song for right now” line, and similar ones, are all over the marketing materials. There is a strong preliminary emphasis on curation and concierge-style programming based on where you are, how you feel, and who you’re with. Songza planted the innovator’s flag for that type of music selection interface — and probably wishes it owned a patent, because it has been copied by Slacker and iHeartRadio. 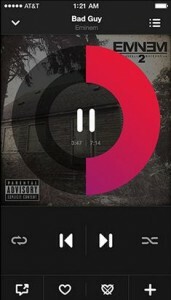 Beats is clearly barking up that same tree, albeit with a unique interface in promo screenshots. All this is to highlight the human programming staff behind the scenes. Beats will try to separate from the crowd by portraying itself as a musical company, not a technology company. That’s not a bad tactic. Ever since computer geek Shawn Fanning launched Napster, and corporate geek Steve Jobs launched the iTunes Music Store years later, the music distribution business has been taken over by tech. Marketing a new service as infused with the DNA of living humans could be an effective differentiator. Those humans are described by Ian Rogers as “our personal heroes across the genres.” He lists the curation staff. This star-curator business really is unique in a universe of music services whose programming is largely determined either by a pure data layer, or by formulaic analysis of music attributes in songs. It’s not black-or-white, though, and what Rogers is describing isn’t unique. Even The Echo Nest, which furnishes music selection technology to over 400 service platforms, uses humans to refine its intelligence. And Spotify furnishes hand-created playlists throughout its genre directory, not to mention its ecosystem of apps, many of which are purely devoted to expert curation by leading brands such as Pitchfork and Rolling Stone — two expert sources also quoted by Ian Rogers. 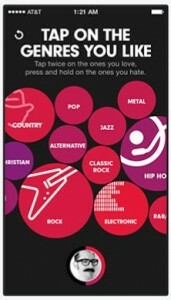 Second, and more important from a business perspective, Beats is launching with a telecom affiliation (AT&T). Bundling a music service into a phone carrier’s subscription plan is a win for all parties, and helps independent services compete with the installed user bases, and payment relationships, enjoyed by Apple, Google, and Microsoft. Ian Rogers touts the AT&T alliance in the second sentence of his long blog post. The beauty of telecom packaging is this: Even if Ian Rogers’ differentiators don’t really differentiate, the pricing power of AT&T bundling (inexpensive family-listening plans) could steal marketshare from other music services which users perceive as essentially the same. 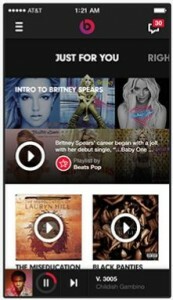 Beats Music is a major addition to the streaming music landscape, and gets 2014 off to a roaring start. Other services should be glad for the rising tide that Beats publicity will probably cause, and also afraid of what appears to be a coordinated, tactical, and attractive initial presentation from a brand with existing music clout.